Thousands of years ago, a man went into a garden to pray with his disciples. 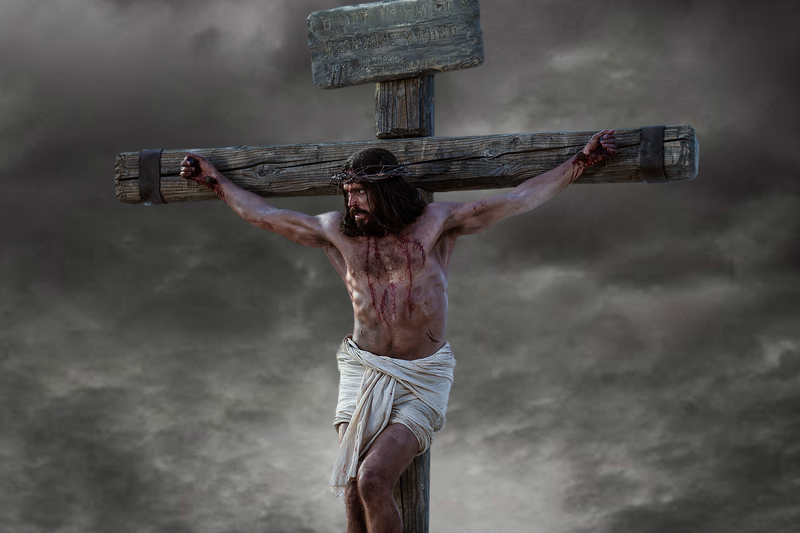 This man was Jesus, who was both a man and God’s son. He went to the garden to pray that God would change his fate, that he would not have to go through agonizing pain and a gruesome death. He prayed so hard and so fervently that he began to sweat droplets of blood. However, because of God’s love for us and because of our own sin nature, Jesus willingly accepted his Father’s will and when the Pharisees came to take him away, he went with them without a fight. When his disciples fled, Jesus was left alone. He was taken before several courts and tried unfairly for crimes he did not commit. In fact, one of the judge’s, a man named Pilate, knew that Jesus was innocent. However, swayed by the crowd’s demands, he condemned Jesus to death by Crucifixion. Although innocent, Jesus was whipped, beaten, spat on, mocked, ridiculed, had nails driven into his hands and feet, was forced to wear a crown of thorns, and was vaulted naked upon a cross to die slowly via asphyxiation. Today, we celebrate Good Friday. Just this week, one of my students asked me, if Jesus’ death was so gruesome and horrible, why on earth do we call it “Good” Friday? We call it “Good,” even though it is a day that memorializes a violent day in history, because it is the day that the Son of God willingly died for each and every one of us. It is a good day because it is the day that death and sin lost, it is the day that love won! Before that day, Jews were tied to the cleansing of sacrifices, however, once Jesus made the ultimate sacrifice, God made it even easier for us to eventually return to him. Ultimately, it is a good day because Jesus’ death helped to close the gap between man and God. Last weekend was my bridal shower and everything felt like a wonderful dream. I was beyond blessed by my family and friends. The decorations were lovely, the games a blast, the food delicious, the gifts generous, and the company priceless. I hope to always remember it as it was, a wonderful day. My best advice to any bride out there who is dealing with the stress: be sure to put aside your expectations on big days and simply focus on being in the moment to enjoy it. Things will always go differently than we planned (but that is not always a bad thing). If you are anything like me, you will plan and plan and plan and plan and plan. There’s nothing wrong with being a planner, just remember that on that day to let go of your plans and let it be. With that attitude, I was able to truly and entirely enjoy my Bridal Shower completely, even when things did not go exactly according to plan. That impale, sharp as glass.